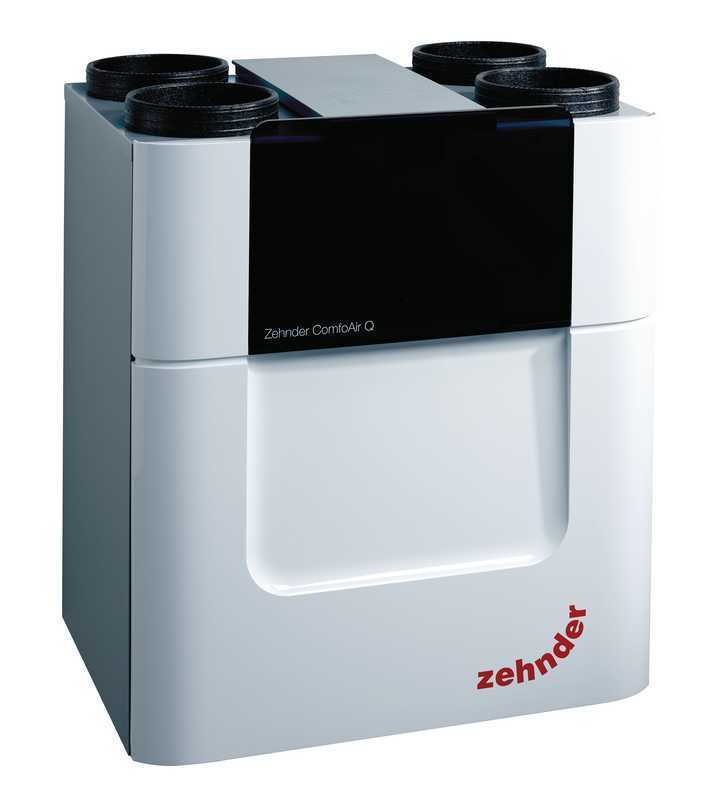 We’ve been chatting with people at the 2016 Homebuilding & Renovating Show in London all this weekend, and one of the cool toys we’ve had on offer has been one of the newest, top-of-the-range MVHR units from German-manufacturer Zehnder. The HRV unit had its panels removed and mounted in plexiglass, and the unit’s internal heat exchanger was cut down the middle, so you can see the internal mechanism of the MVHR unit. 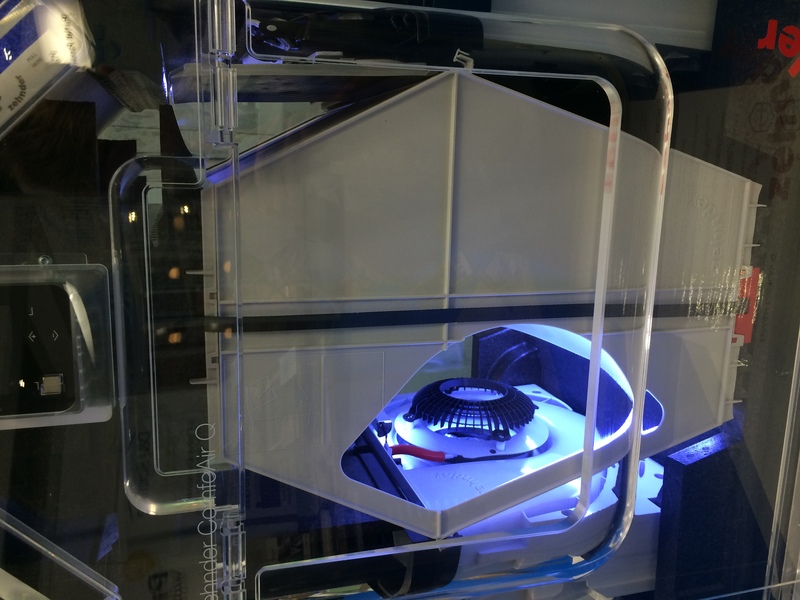 The blue-lit part there is the internal high-performance fan, which keeps it super-quiet as it whirls. The hexagonal piece is the heat exchanger itself, which is removable and can be cleaned with warm water in the shower (they cost a thousand pounds to replace, so don’t break it). 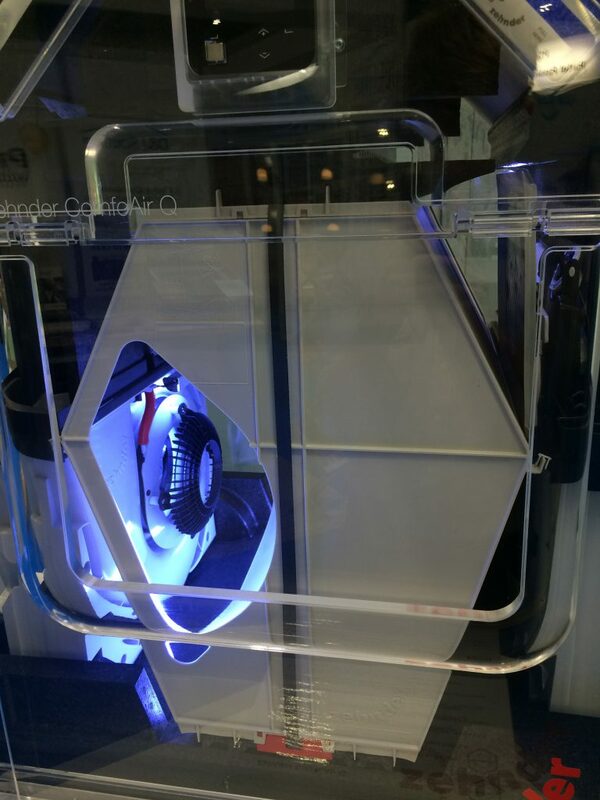 If I ever got one for my house I want the transparent version with the blue disco lighting, and it can sit in the kitchen looking cool. Previous Article← How much does an MVHR or heat recovery ventilation cost to buy and install? I’m not familiar with such a device. What does this actually do? When you say heat recovery unit it will keep my home warm? Does this mean that I will end up using less electricity? “Heat Recovery” in an MVHR system means that the warm air in the home (that you have used valuable dollars to heat through your central heating) is not wasted. Warmed air goes into the heat exchanger and passes through/over cold (fresh) air coming in from outside. This pre-warms the fresh air. That means you get healthy ventilation all through winter, and it’s already warmed – so no waste. In the most energy efficient homes you don’t need much central heating to keep the house cosy and warm. Hi Nick, thanks for your comment. For very hot countries the heat exchanger works in reverse as a cold exchanger: the air exhausted from your home will exchange with the warm air coming in from outside and cool it down. This means you’ll save on your cooling bills on hot days (ie, you can run your AC lower or keep it off). But the most important aspect is that your home is airtight and well-insulated, to stop cold air leaking out and warmth radiating in.